CoverGirl‘s new line inspired by the newest Hunger Games, Catching Fire is fabulous! The costumes and styling here are so fun and glamorous. Gorgeous color combinations! I’m definitely inspired to try something a little different with my makeup tomorrow. theBalm Stainiac Lip & Cheek Stain This is the perfect soft pink. I don’t often use a cheek stain because bolder blush is usually the look I go for, but for a lovely, slightly flushed, natural look, I would definitely recommend this. It provides just the right tint for either lips or cheeks. Shea Terra Organics Deep Pore Facial Cleanser My new favorite thing! I’ve been lamenting over the loss of my favorite exfoliating cream for a while now and haden’t found anything that will do the job right, until now! My skin is bright and clean and free from dead, flaky skin. I’ve been using it every other day – I already ordered a full bottle! Alison Raffaele Reality Base Foundation Although the color I was sent wasn’t quite right (I guess I didn’t quite communicate how truly pale I am! ), the texture of this foundation was quite nice. I usually wear a full coverage foundation, but this light oil-free version is great for a more natural, moderate coverage look. DDF Wrinkle Resist plus Pore Minimizer Moisturizing Serum The days I wore it my skin felt softer and my pores definitely looked minimized, but I broke out a bit and there might be too much stuff going on here. At least for my skin. ChapStick Hydration Lock I’m a big chapstick fan. I generally always have one in my purse. This one is a bit more hydrating and heavy duty than usual. A little too matte for my every day go-to, but I’ll keep it around and it will definitely do the job when needed this winter! I don’t think I’ll ever get sick of trying new products every month! Each box I’ve gotten has been full of fun new items, and at least one clear winner that’s made it into my regular rotation. This month? A bright new exfoliating cream, and maybe a couple other things too! Keratherapy Keratin Infused Daily Smoothing Cream If I went for a sleek look more often, I think this would be my go-to, but for my fine, limp hair, it was a just a bit heavy for every day. I’ll probably use this a few times, but not enough to justify buying it. Jouer Moisturizing Lip Gloss Definitely moisturizing! The color didn’t have a lot of staying power, but it left my lips feeling soft and smooth. Like it, but not love it. Serge Normant Meta Luxe Hair Spray This hair spray is pretty fabulous. It holds, but leaves my hair feeling natural. No helmet head here! It’s a little on the pricey side, but just might be worth it. I don’t know if I can go back to my old drug store brand after weeks of better hair days. Grand Central Beauty SMART Skin Perfecting Polisher I love an exfoliating cream. There was a Clinique one I used for years that kept my skin bright, but was discontinued. They had a close replacement, but it’s a little too gently for my combination skin. This could be my replacement. It definitely packs a pow. My skin felt bright and new after only one use, but just like other exfoliators, try not too use it too often or you’ll end up stripping your skin. This one will be perfect twice a week to slough off the dead, dull skin and bring back a little radiance! WEI Pomegranate Buffing Beads This is my favorite new thing. I added these buffing beads to my favorite cleanser and voila! The perfect exfoliant for my skin. I’m in love. Juice Oil-Free Moisturizer It’s organic! I didn’t realize it the first time I used a Juice product. This moisturizer is clean and light. Maybe a little too light for my skin though. I need something a bit more balancing for my combination skin. uniqONE Hair Treatment This is a great alternative to the leave in moisturizer I’ve been using sometimes. My hair felt smooth and sleek, and my ends a little less fried after the flat iron. LA Fresh Cleansing Wipes I love a great face cleanser in an easy-to-use form. This one definitely did the job and came in cute little single serve packs. It was also much milder than most cleansing wipes I’ve tried. Great for pre or post workout! ModelCo Party Proof Lipstick The one! This lipstick is awesome. The color definitely stuck around all day. It was almost a lip stain & lipstick in one. I will be picking up the classic trio in all the fun bright shades. This might be my favorite lipstick ever. Worth every penny. That’s what I would say about this subscription. 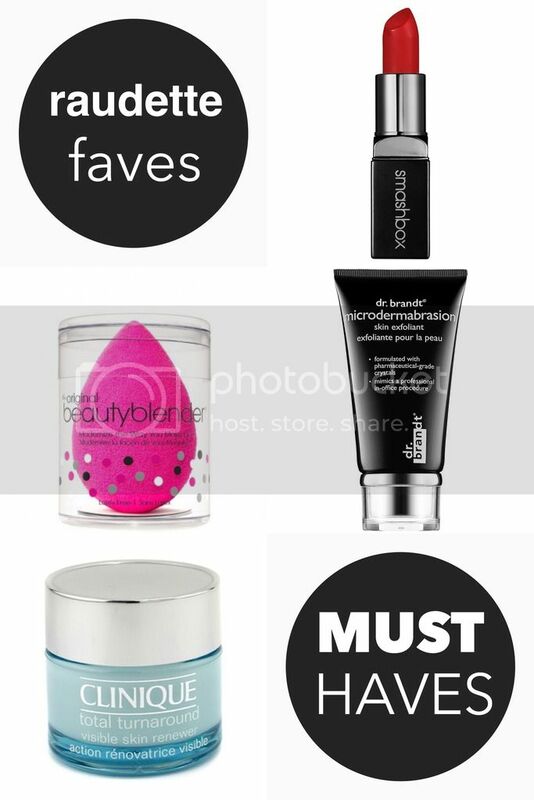 I’ve found so many new & awesome products through Birchbox in just a few short months. And most of the samples are pretty significant! Some have lasted weeks and weeks! This box holds a few new favorites of mine. theBalm InStain Long-Wearing Blush This blush is no joke! I’ve tried and liked long wearing blushes before, but this one has some serious staying power. I love to rock a bold blush look now & again, and with this I never need to reapply, even at the end of a long day. Although it’s great for a subtle look too. I’m pretty impressed and look forward to trying this in a few of the colors. My sample is in Swiss Dot Peach, which is lovely, but I might try a cooler tone next. DDF Acne Control Treatment While I don’t breakout often anymore, DDF is a tried & true brand for me when it comes to all levels of breakouts. Any flare-ups seemed to dimish overnight with this light cream. Great to have on hand, just in case! Number 4 Super Comb Prep & Protect I rarely use a detangler now that I fell in love with Davines shampoo & conditioner, but I will keep this one around for the summer. It’s a little heavier than my volumizing conditioner, but not by much, and will be great during this long hot season, as my hair get ravaged by sun and sea (and styling!). My hair felt smoother all day. Birchbox Bobby Pins Adorable! Great bonus gift this month. Benefit It’s Potent! Eye cream Love the texture of this eye cream. It feels rich, but soaked it quickly. The scent was incredibly light and this is going on my list of things to order once my little sample runs out! Want to try BirchBox? Sign up here. You just might fall in love too. Oh man, this one was a winner! I loved every product and the cute travel themed postcard set that was included. 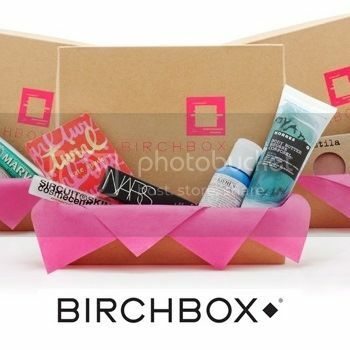 BirchBox is tied for my favorite monthly subscription [with Rocksbox] and I most definitely have tried more than a few! Part of it is being an ex-cosmetics sales rep & artist and part is my obsession with great new beauty products that is fulfilled every month with this tiny box of awesome. Color Club Wanderlust Nail Collection: London Calling. This bright, nearly neon green jumped out at me the moment I opened the box – so much that I sat down and put it on right there. I love it! Great texture and it held up through two nights so far! $8 for four colors is quite the steal. Youngblood Hi-Definition Hydrating Mineral Perfecting Powder is awesome. I have a super oily t-zone and my pores disappeared the moment I dusted this on. I’ll definitely be tossing out my old powder and adding this to my daily routine. Stood up to a late night party in a warm, muggy bar. My skin looked great all evening. Klorane Gentle Dry Shampoo with Oat Milk has a great texture. It feels so much lighter and fresher than most of the dry shampoos I’ve tried. My hair felt much less powdery and more like I had recently washed it. I don’t use dry shampoos often, because I’m still a shampoo-almost-every-day kind of girl, but I’ll go to this one first next time I need it. 29 Preserves Skin Care Collection Sunday morning I woke up after a long night out with thirsty, tired skin. I broke open the Serum Extract and felt instantly revived. It was rich yet light and soaked into my dry skin, immediately making it feel fresh and soft. The Eye Emulsion saved my sad tired eyes. The scent wasn’t my favorite, but it wasn’t the worst either. That night I tried the Cream Cleanser and was completely wowed. I haven’t tried a cream cleanser in years because my skin is fairly oily, but this one left my face feeling clean and bright. And the scent was delicious! The Night Moisture came last and was lovely, but nothing to shout about. The serum and the cleanser are definitely on my list of favorites. How fast 9 months flies! Back in September I tried lash extensions for the first time and have been obsessed ever since. I love the way they look, with or without makeup. I forgo eyeliner occasionally, which I never did before. And I look fabulous from the moment I wake up in the morning. I’m a little more delicate when washing around my eyes, but that’s probably better for them all around. I’ve heard stories about people getting their eyes glued shut (temporarily!) and other issues, but I’ve never had any problems myself – just make sure you have a qualified and recommended technician. 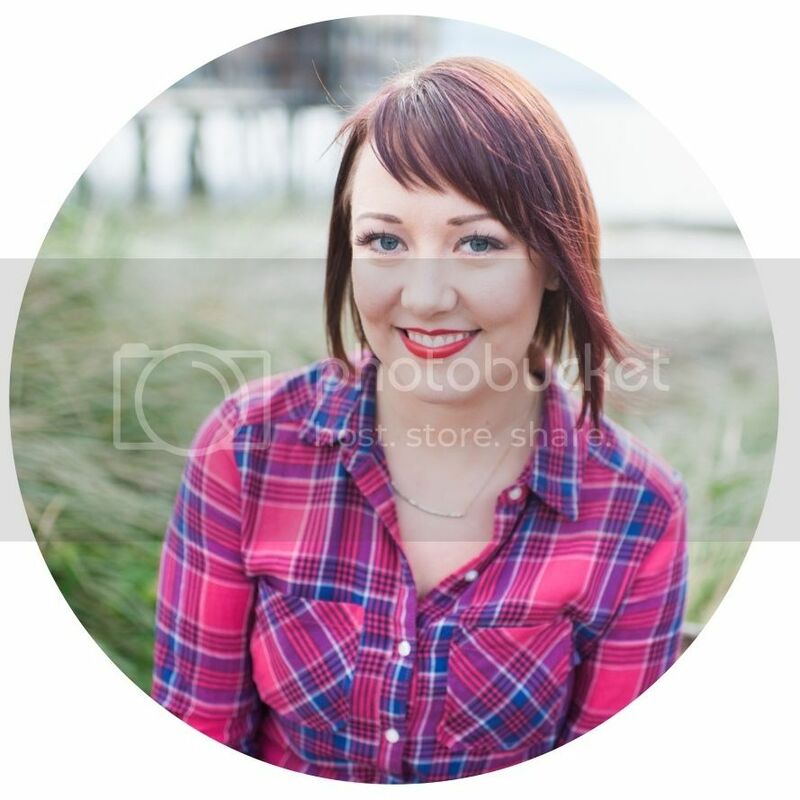 If you’re here in Seattle and looking, let me know… I know a great gal! My mom, sister and a couple of friends are hooked now too. I don’t know if I’ll ever go back to just mascara. I just can’t give up these beauties! These are my lashes! I love them.